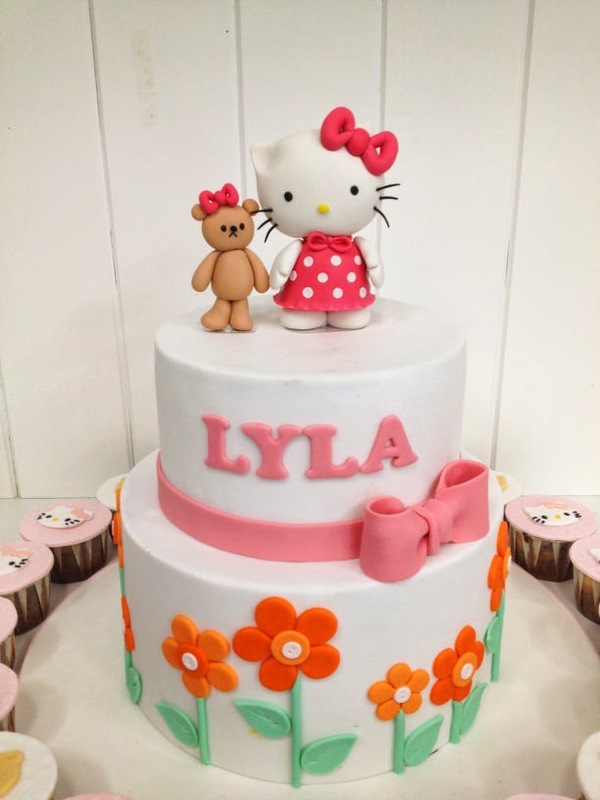 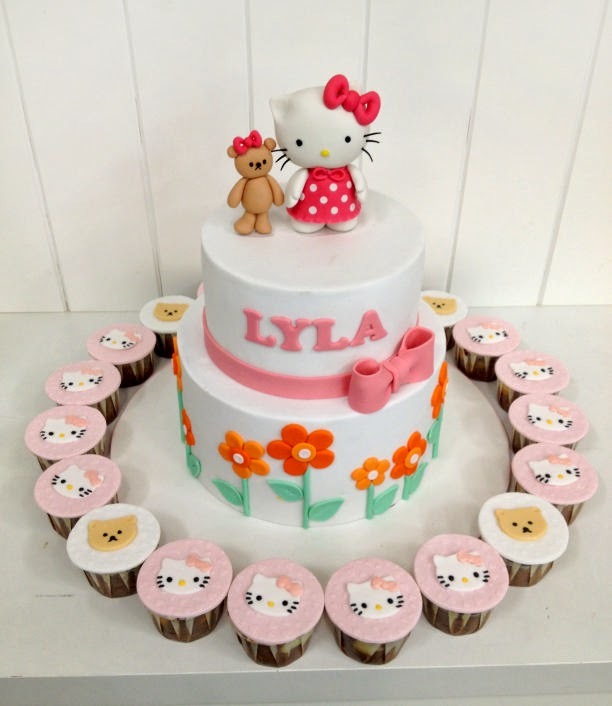 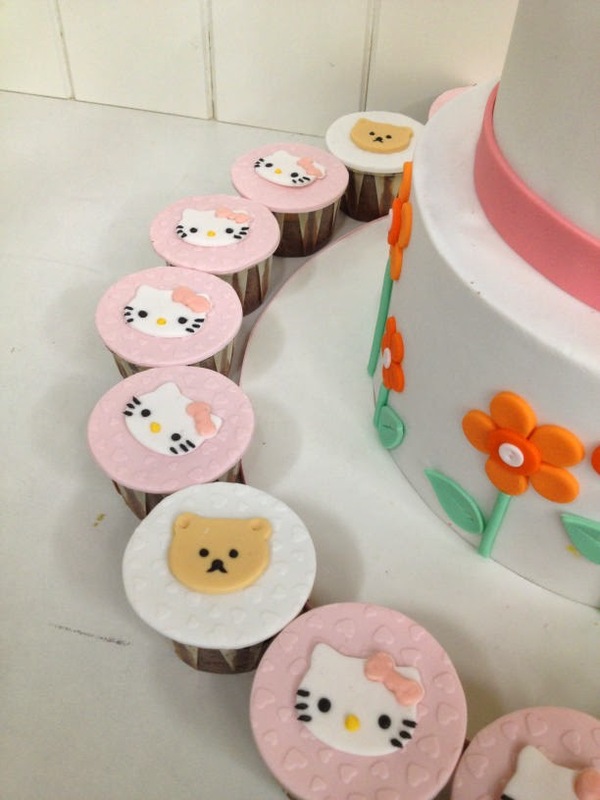 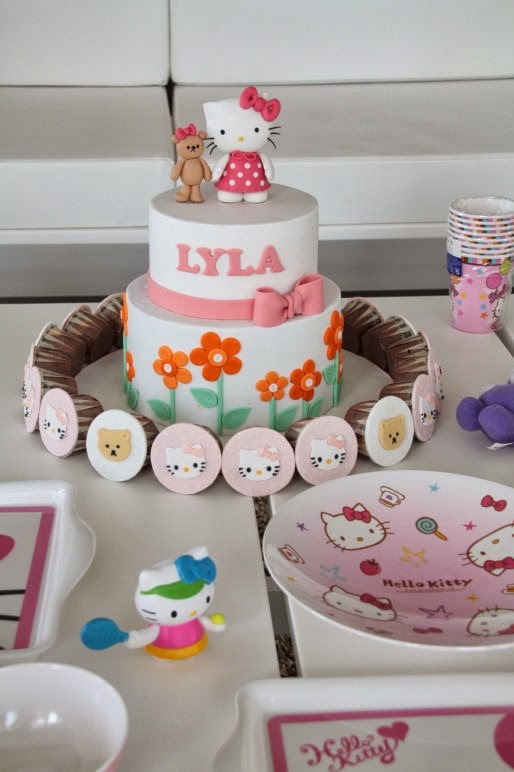 Another Hello Kitty cake. 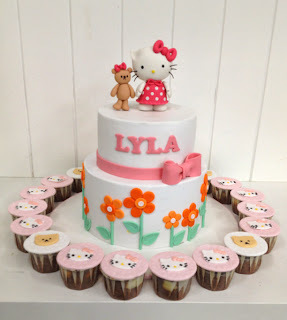 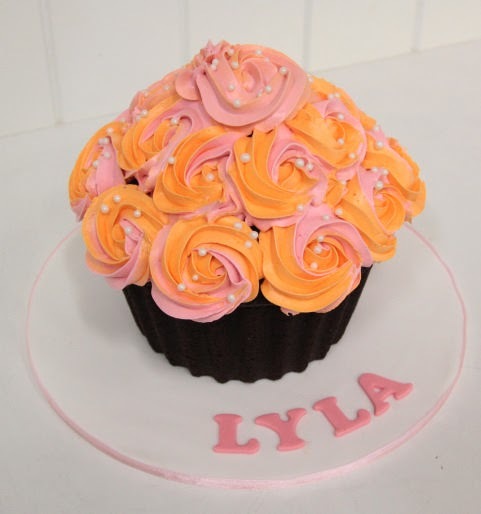 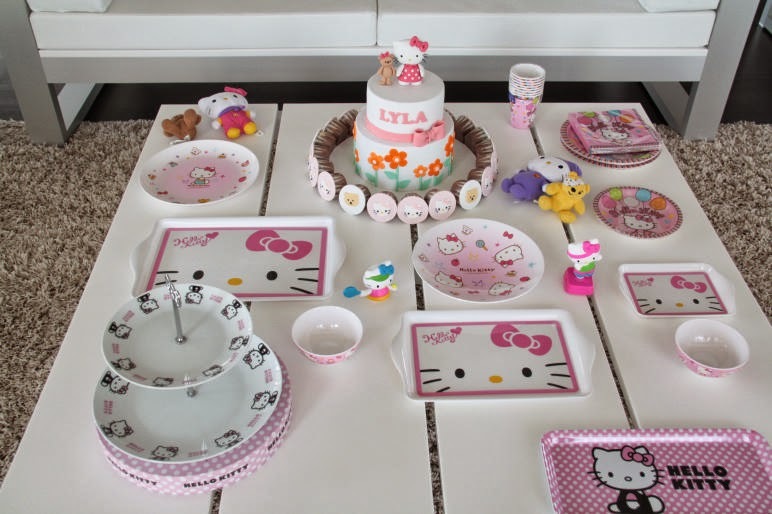 It was for 1 year old Lyla...a cute and pretty little girl. The main cake is inspired by the invitation card...blossom and color. Mummy commissioned a smash cake for a photography session as well. 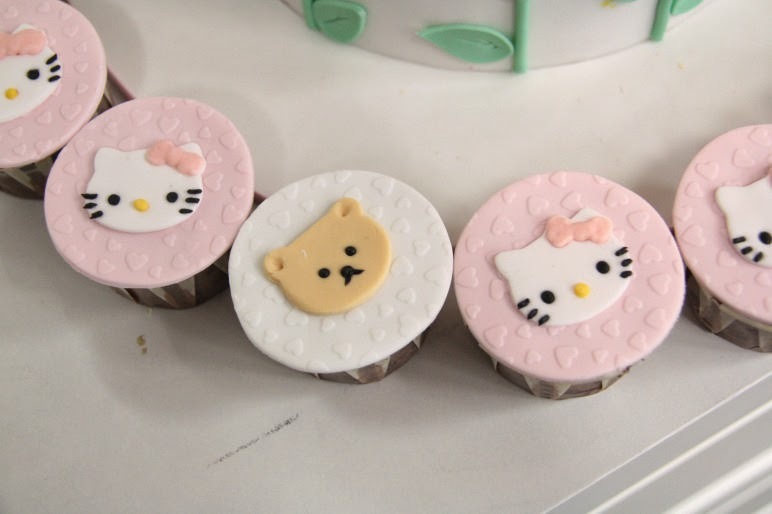 The mummy is a big fan of Hello Kitty...I am sure!